Defence IoT startup CRON Systems Pvt Ltd on Monday said it raised an undisclosed amount in its pre-series A round of investment from early stage investor YourNest India Fund. CRON deploys border security solutions, some of which have also been adapted for commercial markets. The company has bagged orders from the Border Security Force (BSF) and the Indian Army to install its products at army camp airports, the company said in a statement. The capital raised will be utilised for research and development, talent acquisition, and expansion to the Middle East, Africa and Europe, it said. "As a fund, our mandate is to invest in deep tech and innovative companies in sectors of tomorrow. The investment in CRON perfectly fits our investment thesis. Their products have already been deployed in real life hostile territory and have been saving numerous lives at our international borders," said Girish Shivani, co-founder, executive director and fund manager at YourNest. The company was founded in 2015 by Tushar Chhabra, Saurav Agarwala and Tommy Katzenellenbogen. Chhabra was a former consultant for the Google Billion user project, while Agarwala has worked with companies such as Reliance Jio, Qualcomm and Grey Orange. Katzenellenbogen is an Israeli Air Force old-timer, who also has experience in te venture capital space. CRON's products include integrated intrusion detection and smart fencing solutions, comprising laser walls and surveillance drones. Besides CRON, another startup in the defence space is Aadyah Aerospace Pvt Ltd which received Rs 13 crore ($2 million) in pre-series A investment in October last year. In September 2016, YourNest launched its second fund, YourNest India Fund II, with a target corpus of Rs 300 crore ($45 million). CRON Systems is the first investment from this fund. 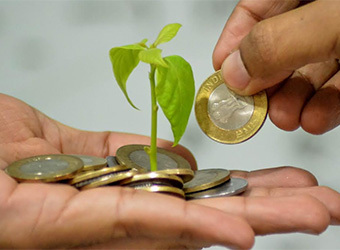 From the previous fund, YourNest has backed companies such as Uniphore Software, mycity4kids, Rubique, Arya.ai, Smart Software Testing Solutions Inc, Simpli5d, SmartQ, seeDoc, Fashalot, aahaa stores, MoMark, and GolfLAN.